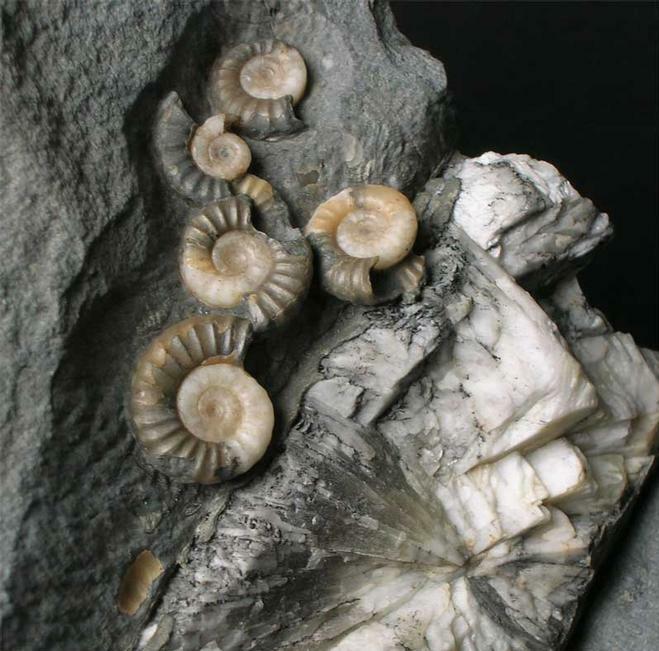 A wonderfully preserved association exhibiting a piece of fossilised branch (115 x 31mm) and a beautiful spray of various sized promicroceras, the largest measuring 24mm. 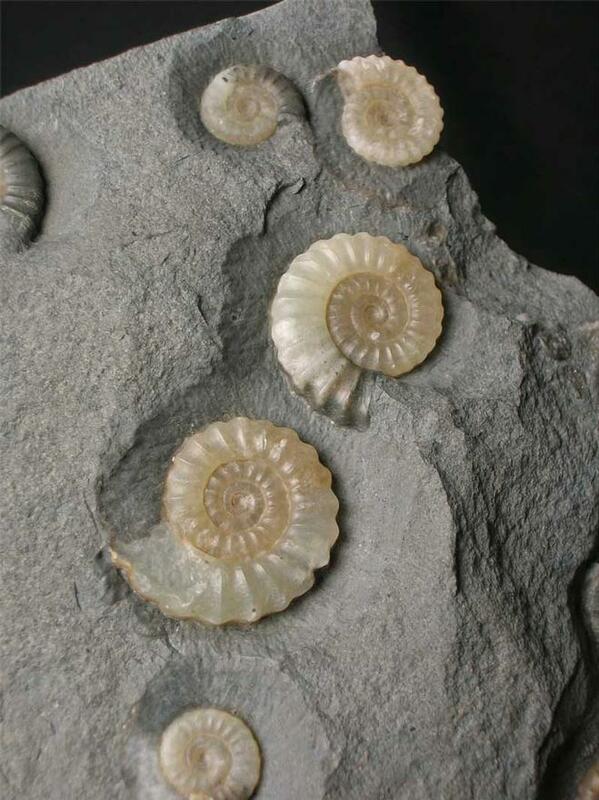 One of the Promicroceras has a predation bite taken out of it, either off a Dapedium or Furo, two predatory fish around at the time. 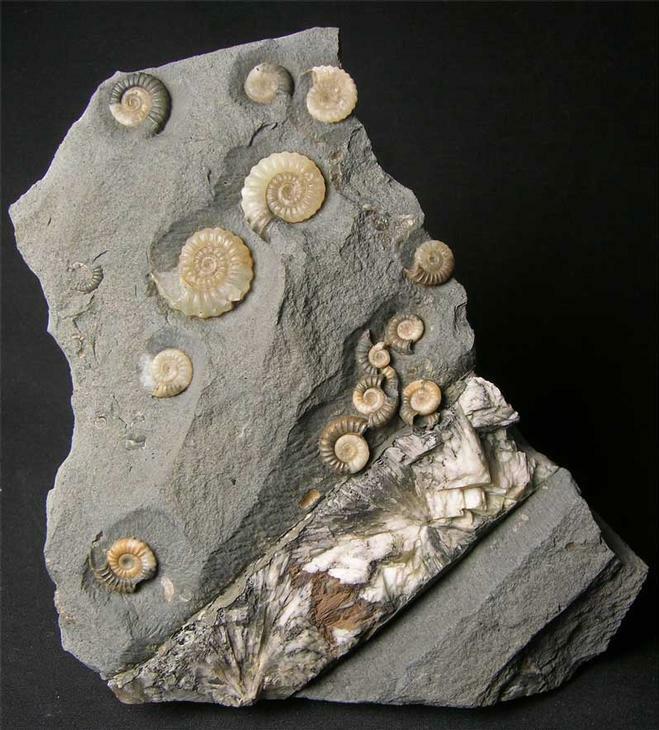 Fossilised wood and ammonites always make an aesthetic combination especially when prepared by Andy Cowap. The wood has partially been replaced with beautiful calcite crystals. The matrix has a level base for ease of display. 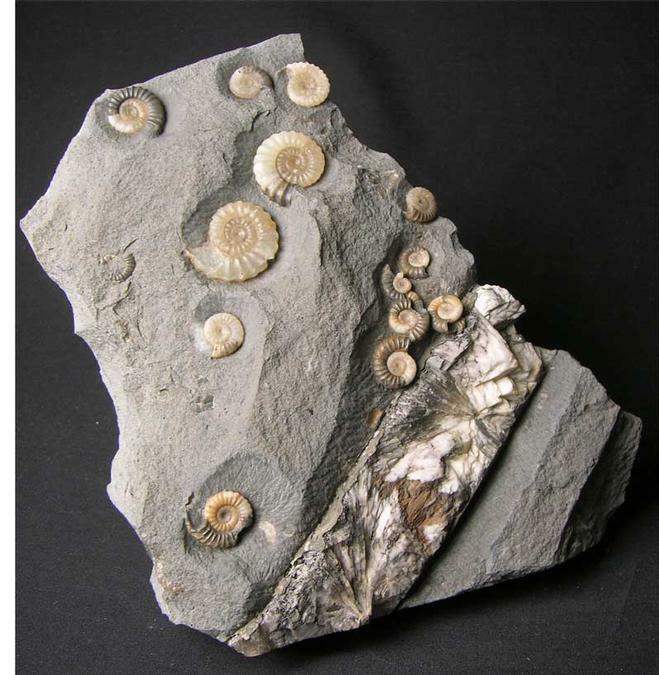 Fossils Direct only bring to our customers the finest prepared fossils from around the United Kingdom. Approximately 200 million years old.